ecommerce.auction is our cloud for e-commerce and auction suited for individual business entrepreneurs , government or multi million corporate. Works for single seller or multi vendor business with buy it now , reverse and forward auctions. 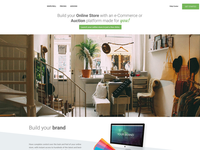 Our Cloud ecommerce.auction available with ready made shipping & payment gateways. It take about 5 mins to set a store with paypal or bank information ready. 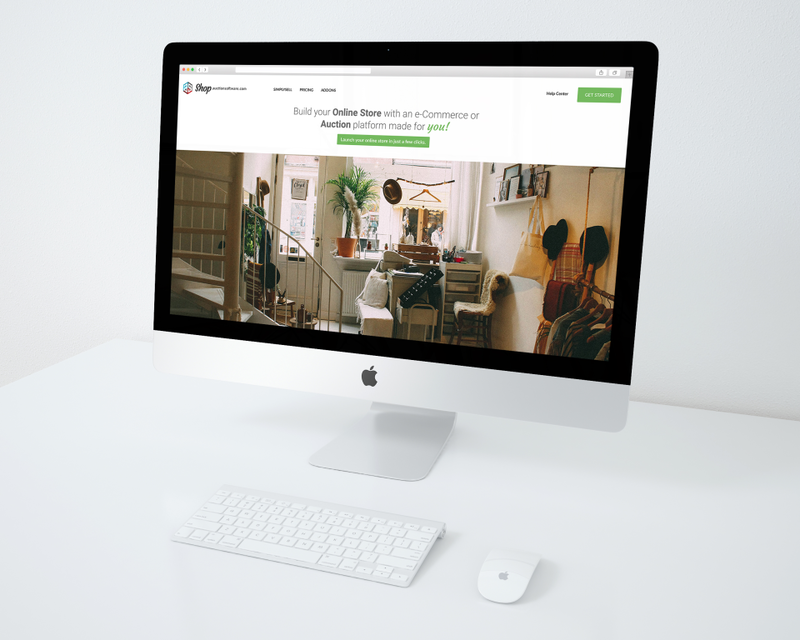 Also store starts @0/month and have complete control over your store look & Feel. Pros: Everything is easy with Auction Software. 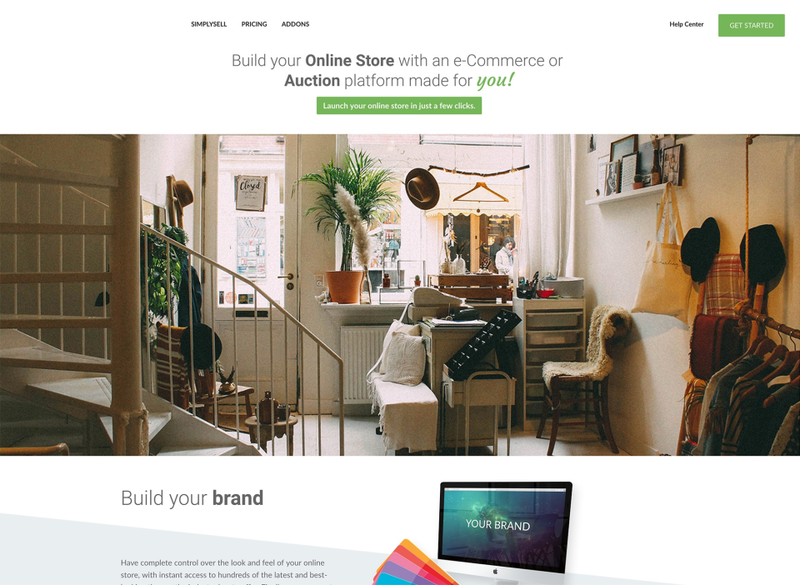 Auction Software's team helped us create and grow two e-commerce companies that I've managed from the ground up. And in both scenarios all work was performed with transparency and full reliability. Everyone at Auction Software is professional, trustworthy, and accountable in their work. And their proprietary software makes everything simple to manage along the way. Cons: I can't think of many cons with Auction Software. Overall: We've experienced positive business relations with Auction Software for 5 years. They've always been reliable and capable of solving almost any e-commerce issue we've faced. Auction software has always provided excellent service and capable teams to handle all essential aspects of our e-commerce product creation timelines. From product management to design to development and live-launch, Auction Software is highly skilled for every step of the way. Pros: Above all I like the finished product. It is exactly what we asked for which is nothing short of amazing as our needs were quite complex and demanding. 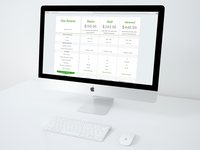 The Auction software proved to be extremely customizable and incredibly flexible and it was molded to our exact needs. Cons: I couldn't really find any criticism of the actual software. Overall: One aspect that stood out for us was the pricing. We got price quotations from dozens of other Dev companies before settling with Auction software and the prices from other companies were eye wateringly expensive by comparison and literally every other company said they could not meet all our development needs in house and told us we would need to use multiple developers where as Auction software did all of our development themselves in house and they seemed to be unique in this aspect. The communications with Auction software CEO and his dev team were excellent and I was amazed at how closely they worked with us. Communications happened without delays either on the phones or through real-time screen sharing tools or emails plus we had a project management tool we all shared. The rep. team were available very quickly as and when needed. One requirement for our business was the need for a third party shopping cart with PayPal integrated. Rep. team proved to be particularly skilled in this area and dev team had great contacts with the PayPal Development team. We will be using and his team as our long term development partner in the future .They are worth their weight in gold. Pros: The software is huge will cover all the aspects (features) in auction you are looking for ,it is customisable, the team are dedicated looking to pleasure their customers with high quality work , no hidden cost every thing as agreed, the design can be modified, if you are looking to add some functionality the team will suggest the best approach ,mult language , they are selling high quality products with latest programming language , i am sure that as buyer you will be satisfied as the main thing Raj the CEO and the whole team looking for the reputation , high quality work , very organised and well oriented team . Overall: This software is helping me to cover an essential part that is missing in the market at my country. Superior Leadership, Project Management & Software Development! Auction Software gets it done!! Pros: My software is perfect, it's everything I asked for and then some! I was a little wary at first because my solution needed major customization and I've been burned more than a few times working with off-shore Dev teams. This has been the best Dev engagement in my 20 year career. Bar none! As everyone knows, the foundation of successful engagements is communication. The Auction Software team excelled in communications!! The project management software leveraged ensured timely and transparent communications of which your project is also monitored by the company's Sr. leadership team. The Auction Software team brings immense value to your project. 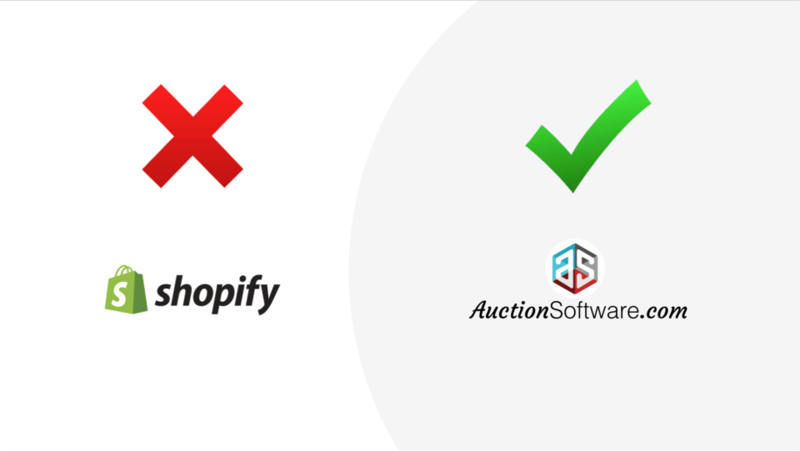 It's through their thought leadership and subject matter expertise that prevented us from executing a costly "Go-to-Market Strategy" Simply put, Auction Software is more than a Dev shop. Auction Software is my critical, strategic partner which I will leverage for years to come. Superior value for the money! Cons: I don't have cons regarding my software. The project was built to my specifications and I'm extremely pleased. The Auction Software team greatly exceeded my expectations! Pros: This software makes it easy to understand and follow the progress that the team working on my site is making and allows me to assist in any corrections that need to be done early enough in the development that it doesn't cause to big of an issue to repair, replace, or remove the item in question. Overall: I have been using this company for almost a year now to build my site. Progress is slow but steady. Raj and his team make every effort to understand what I am wanting for my site and generally accomplish what I am asking for. There are a few language barriers and misunderstandings to overcome but in general this is a great company to work with. Amazing to work with. The reviews are real! Pros: Customer service, amazingly well-documented project via Basecamp. Cons: Communicating internationally can be challenging at times due to the time difference. Overall: I actually first found the team through this review page. At first, I was skeptical all the reviews were real, but everything seemed on the level so I decided to evaluate their offerings and compared them to three other vendors through a process of phone calls and email exchanges. We ultimately selected Raj and his team and AuctionSoftware.com. They have far exceeded my initial skeptical expectations. This was the first time I led a development project of my own and didn't know what to expect. At the end of the day, the team helped me build a very customized platform that leveraged a very specific vision and patiently worked through a number of redesigns with me as we went through the project. Cons: The cost is more than a simple Wordpress template, but the difference is beyond you can imagine. Other than that I feel their software and team are flawless. Overall: Best choice and competitive price. The best of both worlds. 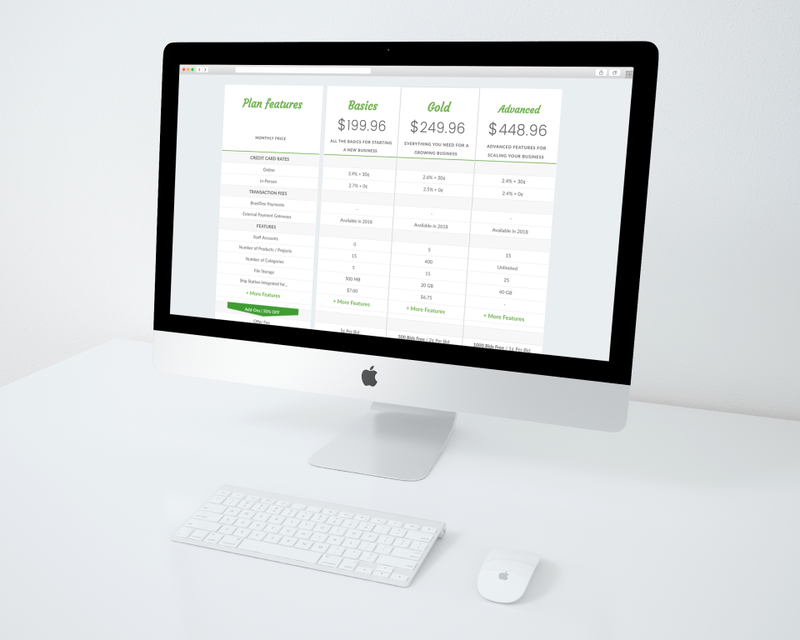 A SaaS solution that is highly customizable. Pros: Robust functionality, fast deployment, and low total cost of ownership. Auction Software's platform provides a rich set of features that are fully functional right out of the gate but also allows customization to support the specific needs of each business and industry. Cons: Sometimes it was hard to determine what features were part of the base platform vs. those that required customization. Overall: The team from Auction Software enabled us to significantly expand our business. Their development and deployment process was efficient and effective. They were quick learners and didn't hesitate to ask questions when appropriate. Pros: The auction software is easy to use and we at DominusComputers.com continuously get compliments on how the site looks. We've had a few problems arise, but AuctionSoftware.com has always been quick to correct the issues. Cons: We wish several features were included in the product such as pages to edit FAQ's, About Us, How we Work, Terms of Service. We added them in our product, but we believe these should be included for those who aren't as knowledgeable in HTML programming. It did take longer for our site to be built than we liked. However, we prioritized full functionality and sacrificed the additional time to ensure when the site went live everything worked as expected. Overall: The software used is our direct source of income. Without it we would not function as a company. We do recommend the software from AuctionSoftware.com and highly recommend them personally. We don't know of anyone else who would have been so willing to work so hard at customizing their product to suit their clients needs. A great platform and an awesome team! Pros: All the basic functionality is there at a very reasonable price. The team behind Auction software helps to customize the platform to your every need. Overall: The Auction software platform is a great base to start from. The team behind Auction software is even better. They help you to customize the platform to your specific needs. Changes are made quick. Advise is given on how to solve problems. Communicating through CaseCamp, E-mail, chat and webex with team members all over the world is easy as can be. Recommendations to other buyers: Software itself is not the differentiator. It's the team that helps you to transform the basic platform into the magic you imagined in your mind. That's what makes Auction software unique. Comments: I used Auction Software to launch www.overhaulbids.com which is a reverse auction platform for the aviation maintenance industry. They were vetted out of more than 50 software companies and the reason why I selected them over all the others was experience in this field and templates that I could work off of. I can't explain how important the latter is. There's no way to get all of the little details together if you build ground up. Using this method ensures a better first run. These guys have the best auction templates out there (trust me, I've looked). Once I started the project with them I noticed having a liaison here in the United States was a huge advantage over the companies who operate exclusively on India time. In my case, I had to work on this project in the afternoon/evening hours while India's in deep sleep. It's a lot easier to just pickup the phone and make a domestic call than it is to deal with Skype's problems and lack of clarity. Lastly, Auction Software has the right team to deal with complex projects and deliver on deadline. Rajesh is very dedicated to customer satisfaction and has treated me fairly in every situation. More than fairly in a few situations actually. Bottom line: These are good guys. I promise you won't regret hiring them. Call me if you want more details. Pros: Auction Software was a pleasure to work with. We wanted a platform that would be second to none in our industry and Auction Software delivered in a big way. Cons: There are no cons to think of for Auction Software. Overall: KVA Network was a long process to complete but Auction Software was extremely patient and delivered exactly what we wanted. Thank you to the entire Auction Software staff for making it a painless process and providing an on point website. Straight forward, easy, and fast product tailored for the non-programmer to build a monetizing site. Comments: Having worked with a few other programmers trying to find the most adaptable product to meet our needs, Auction Software has developed a great software package with the key features we were looking for in an auction platform. Very easy to use back end delivering on a professional looking front end pleasing to users both aesthetically and function-wise. We wanted an auction platform built on speed and with hours of research and practice with a few different products, Auction Software's choice to go with node.js as a programming foundation is noticeably faster when many users are utilizing the same resources. We have been happy with the support team's delivery of the product and services as promised. Modifications to meet our needs were reasonably negotiated and completed in a timely manner. We caught them in the middle of version changes and they still worked with us which isn't the case with other software developers out there. We have been very impressed and look forward to many profitable years using their product and future projects utilizing their expertise in software development. This is a great business in a box software package with the support and experience to customize for each individual business's idea of what the box should look like. Pros: Fully tailor made. Made to your wishes and ideas. Team implements your ideas. Quick intervention when asked for help. Cons: Had to work a lot for myself. Did many reviews and found errors that could be avoided. Because of this reason developing process was stressfull. But i have to say also that this was a large project with a lot of demands and complexity. Overall: Fully tailor made product. Completely made as per my demands and wishes. Pros: The software for our employees is very easy to understand and use. Everything is displayed very cleanly. It has been a huge hit internally where they can earn credits for performance and redeem them in auction form. Cons: The project did take about a month more than what was expected. In addition, the QA process was a bit lacking. There were a lot of bugs and issues we had to work through. With that said, the quality of the final product was outstanding. Overall: Working with AuctionSoftware was overall a good experience. The final product was worth it and was priced reasonably. The team did work hard to ensure I was 100% satisfied. I would recommend them but also be prepared to add a bit more time to the project (if deadline is important) and ensure you have a team to fully QA and de-bug before going live. Great value and easy to deploy. Excellent support. Committed to customer success. Pros: Speed to deploy and support from company is exceptional. It's also a great value that gives you extensive control over the deployment functionality. Cons: "Out of Box" Admin panel could use some additional functionality. The company is very responsive to adding functionality when requested. Overall: A fully functioning application in less time than otherwise possible at a reasonable price. We are really happy with the work done. The team was very responsive and creative. Pros: What we really liked was the visual aesthetic and ease of use. Furthermore the ability of the team to implement complicated requests and features. Cons: We really cannot think of anything that we do not like about this software or the team that we worked with. Overall: Increased earning potential. This software helped us create a revolutionary platform in logistics industry. Very Happy with Auction Software!!!!! Comments: When we went into the Reef Bids project, we wanted to partner with a company we could have a long-term relationship with. We found the perfect partners in Auction software. It is very rare that I have something exceed my expectations, but that is what I experienced from Auction software. Design is about presenting your message to the world. Good design does this as simply and beautifully as possible. Auction software meet our goal to help us present our message in a very modern and clean way; keeping the target market in mind every step of the way. Remember to ask yourself will the contractor understand your project objectives, will the contractor's team be able to effectively communicate with your Team team. With Auction software the answer is a resounding yes. I can get straight answers that aren't overly technical. But what's really important to me are the results. What's nice about the services Auction software provides for us, are that they are easily measured and we can see continuous improvement in our business performance, which makes real difference to us. Feature-Rich and Customizable - I wish I found them 4 years ago! Pros: This software is extremely intuitive with the amount of transactions and scenarios it can support. The team is always responsive with any concerns presented. The team has built a product that can support your auction business at any scale. Cons: I don't have any cons about the software itself. It works quickly and is reliable. Effective cooperation in the long run! Comments: After 1 year of working with the team of auction software , I can say that they are professionals and they have team members with different set of skills. I absolutely recommend to cooperate with auction software for high quality results.! Pros: If you're looking for turnkey or bespoke, this team has you covered! My experience was nothing short of spectacular - they iterate quickly and never leave a task incomplete. Cons: Time-zones can lead to some communication delay, but this is a common challenge for all international organizations. Comments: I have got to know about auction software while searching for providers for online bidding solutions Capable of fulflilling my company's business plans. I got quickly the answers to all our questions from Mr. Raj the CEO of the Auction Software company and in less then one week contract was signed and our project team assigned and customization work was ongoing. The Auction Software development team and assigned project manager helped us in a proffessional manner to put our ideas into a user friendly, easy to use online platform as per our vision. We have reached a stable version with our first release and definitely will continue our collaboration with Auction Software for the future. Glad for our collaboration, recommended! Pros: AuctionSoftware provided flexible service and solutions for our heavily custom auction platform. We used the India-based project team, which provided reliable designs and ongoing development. Cons: Due to our custom requirements, there are some limitations within the Admin panel. Various workarounds have been created and will be refined as the platform grows. Overall: As a startup marketplace platform, AuctionSoftware provided out of the box solutions to speed up development, providing us with savings. Based in Australia, we have found working with India-based project team brings certain challenges (timezones, language), which can be overcome if you are willing to invest the effort. Overall: The entire process with Auction Software was seamless and easy. They understood our needs and provided a proper foundation for us to build upon. Pros: Software was VERY easy to use, clean UI and fun to use. Cons: I had no issues with the software. I love the software. Overall: My experience couldn't have been better. The dev team was beyond easy to work with, very responsive, and very fast. I will definitely be using these guys again! Overall: With our project, we needed a lot of customization to the base software. Their teams have been awesome in adapting all of our requests and creating the solution(s) to incorporate all of our special needs. Very dedicated and responsive. Comments: Pros: The original software package had 80% of our requirements. However, Auction Software Services provided the 20% modifications we were looking for. Instead of having our internal developers work on the software, to learn it, to understand the structure, Action Software Services provide expedient services to the modifications we required. In return, our team then was able to spend time working on other extended items that are core to our business. The Auction Software Services team is very responsive, 0-12hr turn around time, on fixing any related issues. They understand the criticality of addressing time sensitive product issues that can turn away customers. Cons: Like any other software packages, their will always be slight bugs. However, it's part of doing business. No software has 100% uptime. You must plan for the 1% of bugs with 99% normal uptime. Auction Software Services provides a generous support plan, or you can manage it internally with your own development team. Communication is most important, and these guys are GREAT! Comments: I will start by mentioning i had a prior experience with a Different developer that was downright awful, so I began my business with AuctionSoftware.com a bit nervous. Needless to say, I am so glad that i took the chance! Raj & and the entire Team were a Great help all along the way. Between all of the customizing and developing of our Industry specific Auction-House , we had a LOT of requests. Each and every one of them was handled in a professional and short time-frame. From notifications, watch-lists, RSS feeds, sponsor tabs, membership levels & much MORE .... they had their hands full! I am a tough critic, and i have provided a solid 5 stars here. This group of developers/designers have their stuff together! All of this has come together in a reasonable amount of time and quite easily! We Very much look forward to our ongoing business, together. Thanks Raj & Yaprak !! Pros: The dedication they are able to offer a project and being able to manage a project in a well structured manner. Cons: Did not had a bad experience with them as of yet. Overall: The software implementation is outstanding from their team of knowledgeable staff. The scope and deadlines are well managed to bring a fully working project to fruition. Their staff worked with us from the onset setting the correct expectations and walked us through a well manage project flow so at all times we felt we were engaged with the project. They are professional to work with and accommodated our needs very well. It has been a pleasure to work with their team of dedicated programmers. As a first time app developer, I was in good hands with the Auction Software team. Pros: AS 's project management process was detailed and easy to track along with during the entire lifecycle of the project. Tasks, individual team member responsibilities and follow through were clearly defined and easy to access at any time. AS set the schedule, defined priorities and completed tasks on time. I recommend AS and look forward to working with them again! Cons: This was my first experience working with AS and I felt like they did everything I expected in an app development process. Pros: the team are very accomodating, easy to work with and technically very capable in implementing requirements. Very cost effective solution. Comments: Some people know a lot about web development and programming, I'm not one of them. For me I knew what I wanted but had no idea how to get there. Comments: On behalf of our team, I would like to thank to Auction Software for their overall performance spent in our latest venture, jetonair.com. It was a true reliable experience to receive a comprehensive support from them during the initial stage of our cooperation. We look forward to have a long lasting cooperation with such a team, to well support us including excellent coordination, but not limited to in all other aspects of our project, development, short cut solutions with the help of the recommendations and implementation of our designs to the product. The provided software is fully customizable but most importantly there was a great leadership and the team is very talented to adopt to different ideas and sectors and it is always good to know that you should not ask to them "is it possible?" When creating Agribay.com I have found the team responsive, helpful and supportive. Pros: The support and assistance has been invaluable in setting up agribay.com with the process and timelines to going live relatively short and good value. This has allowed us to create the site ready for market testing . Great exerience. People are good to work with. Pros: Most: The ability to customize the software to our unique requirements. We had a number of specific and unique processes that provides us with many improvements in our business. Cons: Cons: This is not a criticism but the Time zone difference between me and the development team was at first challenging. I am not the sharpest at 7 AM. However, once I got used to it, all was well. Comments: From the very beginning we had highly sophisticated requirements regarding applying our business processes and individual design. They could even develope tailor-made modules that were not available in their software package. Developers have a good sense of understanding your business and I also appreciated that they work highly professional, extremely fast and on top of that, they are also critical thinkers and give feedback if something could be improved. Although we were working in 3 different countries (US, Switzerland, India), we could coordinate work and communication very smoothly. AuctionSoftware's dedication, enthusiasm and good teamwork has significantly contributed to our success in winning an innovation award and industry award. Excellent value, fast work & professional project management. Would strongly recommend! Comments: I'm incredibly happy to have found AuctionSoftware in my quest for a company to build an auction platform. I had initially assumed that I would use AuctionSoftware for the platform development and hire another company to do the web design and development. But AuctionSoftware turned out to be a one stop shop. The team has not only Subject matter experts in Auction software (AuctionSoftwareMarketplace.com) , but also brilliant web designers and developers. The team is highly professional, very easy to work with, thorough, responsive and very flexible. The same project would have cost thrice as much and taken twice as much time if implemented by another company. Raj and team are truly exemplary. Comments: The team at auction software went above and beyond for completion of my project bidforent.com. I worked very closely with them and they were attentive to my needs. Customizing a new site is a difficult endeavor. There is so many variables to consider. The team at auction software were able to efficiently solve any dilemmas. Deone did a great job being a great intermediary. She was able to understand my needs to clearly communicate in computer talk to the developers in India. I am now in support face with the team and look forward to working with them into the future. I would recommend them to anyone that wants try out a new concept in a effective and affordable way. Pros: We have a highly customised project, and the team catered to our needs to their best of capabilities. Although we have some trouble on our end, the team was accommodating and patient with us throughout the project. Will recommend for other projects. Overall: A customised product which we would not be able to get. Comments: I was looking for a team who really understood online auction systems to do my site. Auction Software Services did a great job at a good price. I'm very happy with their work and my experience working with them. They are pleasant, thorough, flexible, and responsive. They clearly aim to do an excellent job and are very capable. It's obvious they've done this many times before. Their task tracking system provides ample and easy communication and helped keep us organized. Having someone in the US in addition to the team in India allowed them to be available around the clock, which was handy. I look forward to a continuing relationship with them on this and future projects. Pros: Able to quickly customize to our specific needs. So far the site is working exactly as was envisioned. Pros: The software has lots of features that eliminate the need to develop from scratch. Cons: More payment gateways options as default could be helpful. Overall: The Software Auction team is a team that would go the extra mile. They are always available when needed and provide efficient solutions when problems occur. Recommendations to other buyers: The software is can be customized for specific needs. 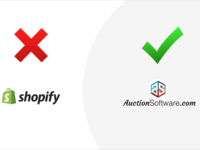 Comments: Software development for non technical founders is a daunting task and although at times it seems overwhelming, I would definitely purchase an off the shelf solution from auctionsoftware again. Using Auctionsoftware as the developers has substantially reduced the development costs and time of getting a initial business concept up and running. While at the same time providing a much stronger and scalable solution than attempting to use add ons in wordpress or something similar. Raj and his team worked diligently on this software over the last few months and Raj was always available and responds quickly to questions. Pros: Quite a response and fast flow while bidding. Good accountability on bug fixing. Cons: The UI keeps creating the problem. More new bugs shouldn't arise while solving the old ones. Server team could be more attentive and fast. Overall: They are professional to work with and accommodated our needs very well. It has been a pleasure to work with their team of dedicated programmers.the group was very easy to work with. I would suggest them to anyone in the market. Recommendations to other buyers: I would suggest them to anyone in the market. Pros: It's fast, efficient, and does exactly what we needed it to do. Very clean code from a development perspective. Overall: We were very happy with the process, communication, and software that was developed. Cons: Difficulty to work with Indian team, because of the time differences. Overall: auction software team provides me a very good customer service over the project we developed together. Comments: We used this site for a mini-auction at our Fun Run this year at Lakeside Elementary in Coppell, TX. The auction site was very easy to set up for a regular mom who is not familiar with web terms. If I did have questions, the staff was very responsive - even late at night! Our only issues were getting the links to match up with our school software, but once we talked it out, there was no problem at all. This site has great potential for schools and smaller venues, since it is so easy to set up!